Omega 3 fish oil can come in the very handy for all those who suffer from arthritis, various types of allergic reactions and chronic fatigue. Omega 3 fish oil comes from the family of omega 3 essential fatty acids. It is a family of unsaturated fatty acids. Omega 3 fatty acids may also be produced from certain types of nut oils. Omega 3 fish oil is very popular because it deserves all the praise that is heaped upon it. Omega 3 fish oil is an exceptional source of eicosapentaenoic acid and docosahexaenoic acid. These acids are of great help when it comes to the natural way of lowering the levels of triglycerides in the human body. All the fatty acids in the omega 3 fish oil are actually good fats and they are very vital for the overall health of a person. The human body is not able to produce these oils all by itself, and that is why they need to be ingested in their supplemental form. Omega 3 fish oil is very beneficial for the reduction of the incidence of heart disease. It can also come in very handy when it comes to lowering the levels of bad cholesterol in the blood and lowering high blood pressure. It also reduces the risk of heart attacks, stroke and other fatal occurrences. Omega 3 fish oil is also efficient in correcting abnormal heart rate, preventing atherosclerosis, lowering the levels of triglycerides in the blood and inhibiting the development of blood clots and plaque in the arteries. Omega 3 fish oil has very potent anti-inflammatory properties which are of great help when it comes to the reduction of painful sensations and inflammatory conditions of the joints. It also reduces stiffness and tenderness of the joints which are the common symptoms of rheumatoid arthritis. This type of fatty oil can also be used for the treatment of menstrual pain and neck pain. 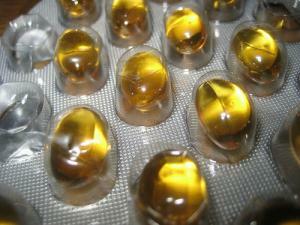 Omega 3 fish oil is of utmost importance when it comes to normal development and growth. It also provides the human body with optimal behavioral and cognitive functions. Omega 3 fish oil is very efficient in improving vocabulary skills, learning, reading and concentration while it also prevents the occurrence of dementia. It is very beneficial in lowering the risk of macular degeneration and dry eye syndrome. It is also beneficial for the overall quality and health of hair. The oil is also efficient in slowing down the aging process of the skin.